I couldn't hit up Chicago without swinging by the Conservatory and Zoo in Lincoln Park. It's just a short ride out of downtown and is so unbelievably beautiful this time of year. 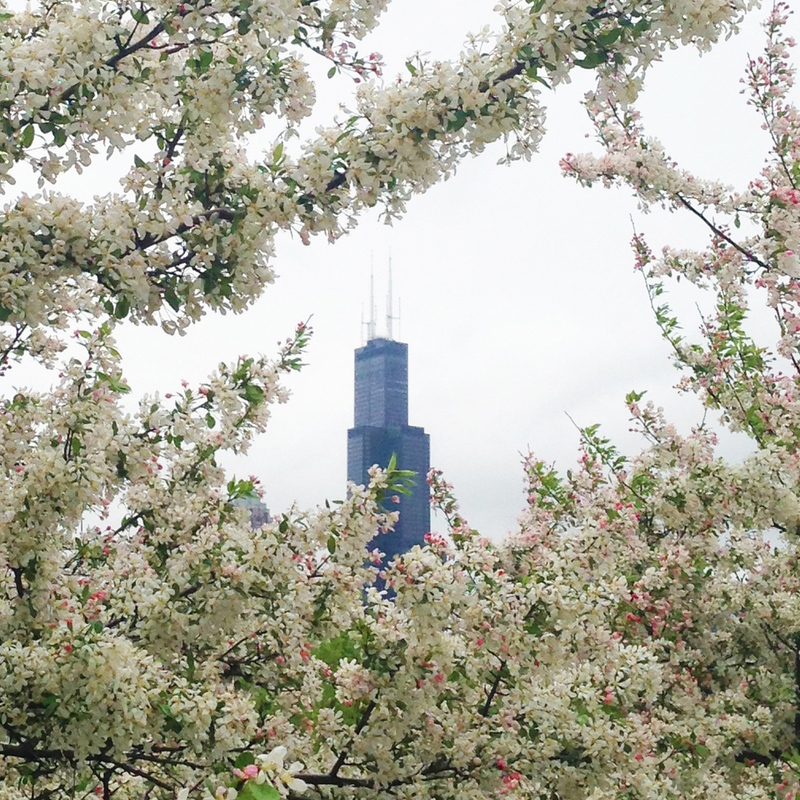 Every street in Lincoln Park is lined with trees and flowers and it's another chance to see the mixture of beautiful architecture that makes up the city. Be sure to check out the shops and cafes along Halsted while you're there. I packed mostly stripes and camo prints for the trip and the two pair perfectly for this look. This heathered and striped tee from Grayers adds interest under the blue shirt while the washed out camo shorts give just the right amount of pattern. Had to wait for the sun but as soon as it came out I reached for my shorts! It was the perfect day to wrap up a wonderful vacation. The fine folks at the Dana Hotel and Spa took amazing care of us while we were in the city. Their spa services and rooftop bar, Vertigo, were just what we needed (not to mention their fully stocked in-room wine bar, what more could you ask for?!). You're a fine fine city, Chicago!! I'll be seein' you real soon.